What better way to beat the horrendous traffic and stress that comes with special dates and occasions than by opting to go the “non-conformist” way! And that’s exactly what we just did a few nights ago as we celebrated Mother’s Day. We decided to have our little, intimate date (sans the kids) the night before the actual day. 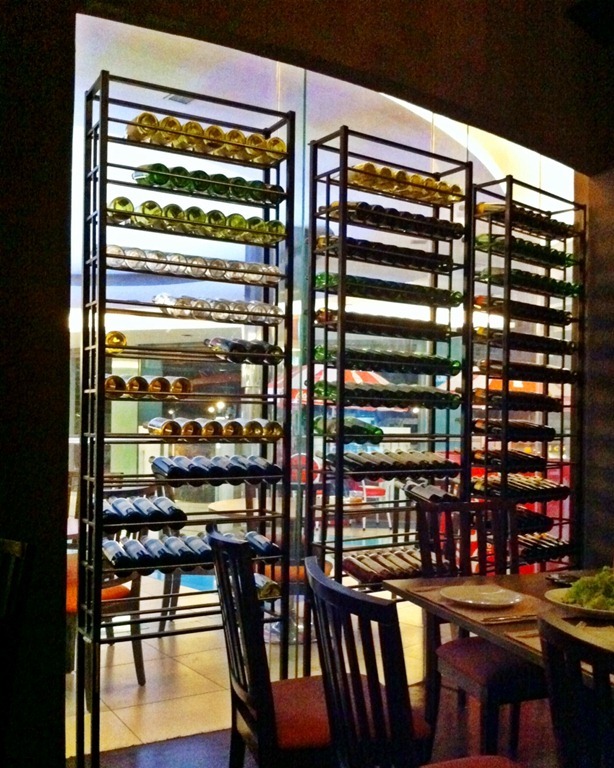 And we spent it by heading to an establishment which we have not dined at before – “Bistro Napa” at Il Terrazzo Mall, QC. 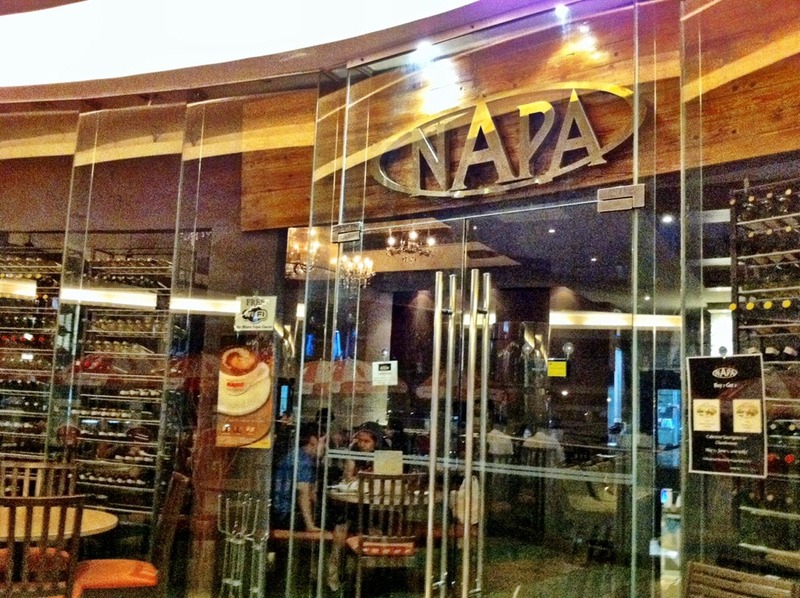 This fairly young restaurant (roughly 2 years old) used to be called “Napa Wine Bar”. It then changed to “Aresi”, then changed once again to its current name now, “Bistro Napa”. First thing you’ll notice when you enter the place are the wine bottles on racks which, if you’re familiar, will remind you of the Napa Valley winery in California. Another attraction quite impossible to ignore is the “blistering-hot, wood- fired pizza oven” (yes, that’s what their FB page calls it) in the corner of the restaurant. I heard they serve great pizzas but wasn’t able to try as both my husband and I weren’t craving for one at that particular time. As I was going through the menu, the “Salmon Cake” priced at Php190.00 caught my attention. It would have been a splendid appetizer, but unfortunately we were advised that it was not available. So, we decided to go for the “French Bread with Roasted Garlic and Pesto Dip” priced at Php80.00 instead. Simple and uncomplicated… how could you go wrong, right? 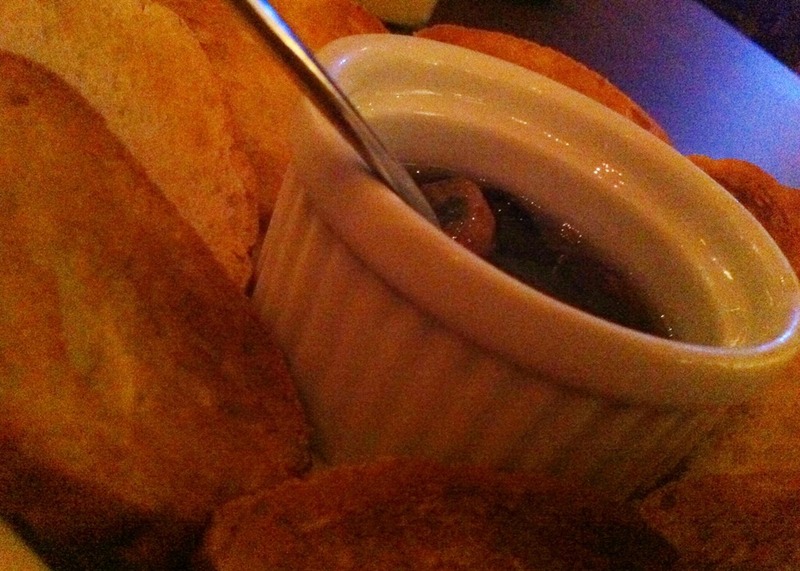 But I must say… the wonderful flavor of roasted garlic blended with pesto on French bread was a delight to the palette. 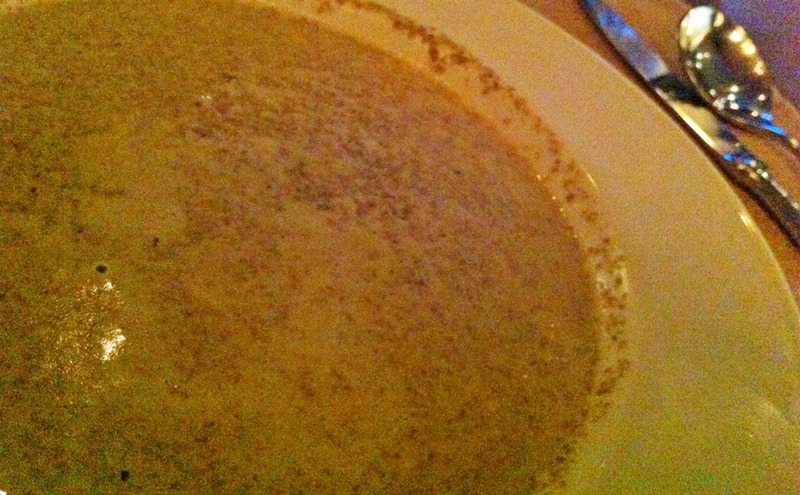 The hubby had the traditional Mushroom Soup… theirs was a version of pureed mushroom mixed with cream. Priced at Php125.00 per single serving (or Php200.00 – good for 2), it tasted very… ummm… common. This Php290.00 dish has 5 medium-sized (roughly 1.5″ in diameter) breaded chicken slices stuffed with ham and mozzarella cheese plus buttered vegetables. You can choose between garlic rice and mashed potato as its side order. I chose the latter. Personally, the chicken itself lacked in seasoning but the creamy sauce more than made up for it. The mashed potato was a bit dry for my taste… it wasn’t remarkable, though it was palatable enough. Since I wanted my mashed potato creamy, I improvised and mixed a little of the Chicken Cordon Bleu’s sauce on it. Note that their menu described this dish to contain bacon. I, for one, did not see or taste any in it. A flame-grilled chicken with a slightly spicy salsa sauce (tongue-twister!) and buttered vegetables priced at Php350.00. The sauce is normally poured over the chicken when served but you can actually request that it be served on the side so you can control and measure the spiciness. Garlic rice or mashed potato are the side-dish options for this. 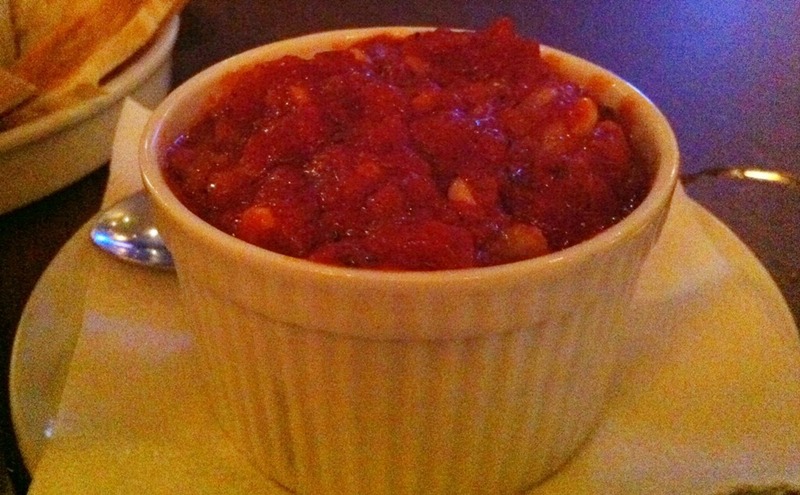 Surprisingly, this “Diablo’s” salsa didn’t even burn my tongue! The chicken, though, was tender and juicy… the smoky flavor was evident, but its overall taste mainly depended on the salsa. 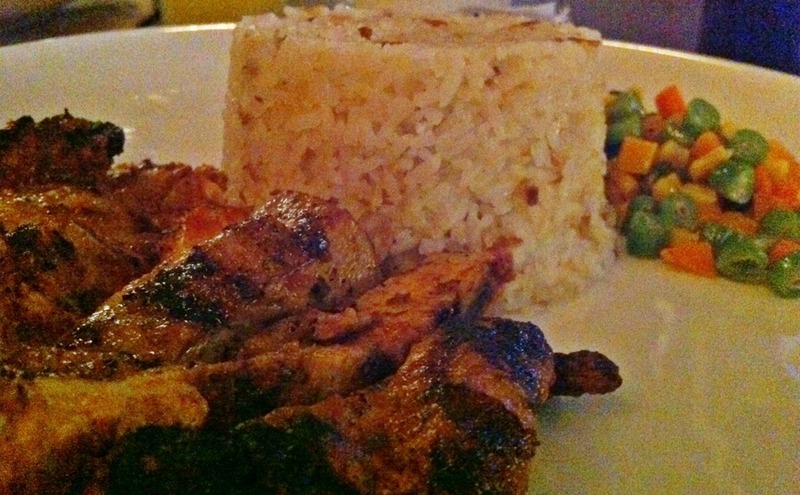 Without it, its just your ordinary flame-grilled chicken barbecue. It’s good but nothing special… not quite something that will make me jump out of my chair. For dessert, we were supposed to order the “Dream Sampler” – a variety of vanilla panacotta,tiramisu and cheesecake for Php180.00. 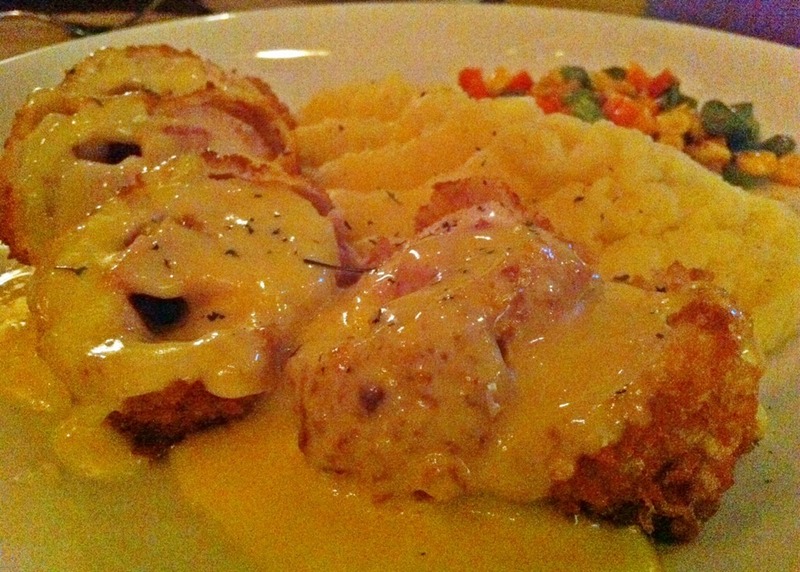 Regrettably, the Chicken Cordon Bleu’s cream already overwhelmed me. And since majority of their desserts are more on the creamy – chocolatey side, we passed instead. For drinks, we ordered Dalandan juice and a can of soda, Php 60.00 & Php65.00 respectively. All prices are inclusive of VAT already,by the way. After dinner, we hopped over to a different establishment for my cup of hot coffee to wash-off the bloatedness I was feeling from what I ate. 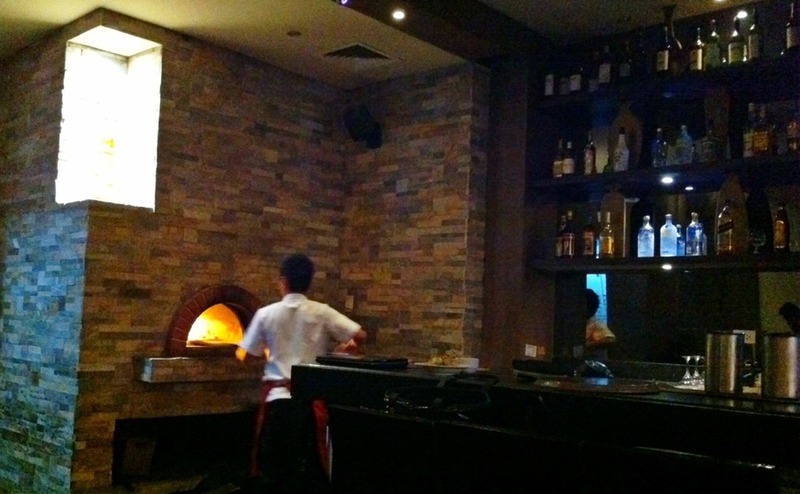 I’m sure we’ll be back to try out Bistro Napa’s pizzas. 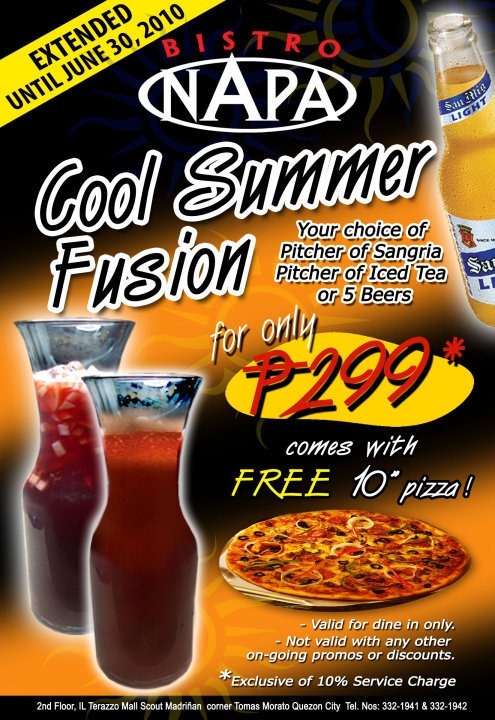 This promo of theirs (see poster below) is definitely worth a try! 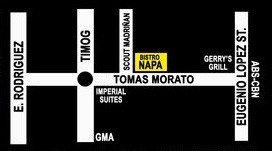 If you are not familiar where Il Terrazzo Mall is, you may use the map below for reference.